Interesting attraction dh visited in Michigan. 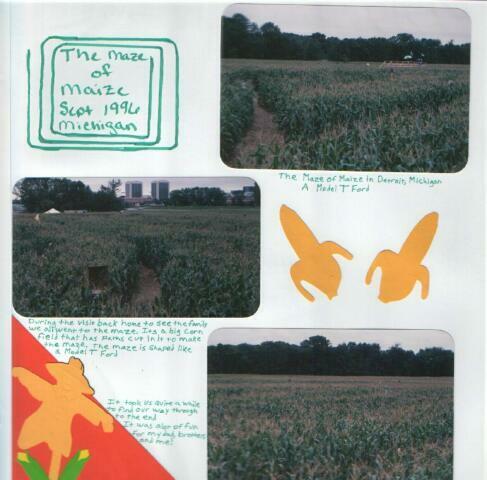 It is a maze made out of maize (corn)! Die cuts and paper Creative memories, stickers Mrs Grossman's.